LFF 2013 Reviews: 12 Years A Slave + The Lunchbox + We Are The Best! This year's 'BFI London Film Festival' may have drawn to a close but we have still a few reviews remaining before we deliver our festival highlights. As it happens, a couple of the following films may well find themselves in that round up. Here are our reviews of Steve McQueen's brutal '12 Years A Slave', Mumbai romance 'The Lunchbox', and riot grrl coming-of-age tale 'We Are The Best!. The Friday morning screening of '12 Years A Slave' was apparently the most attended press screening of all time at the festival, and I suspect that very few of us left disappointed. 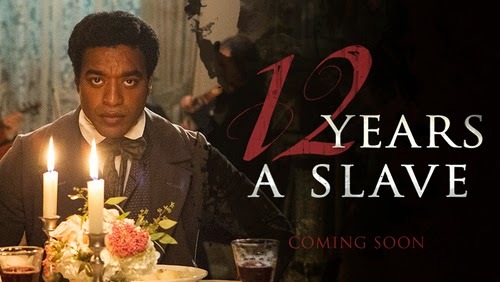 '12 Years A Slave' is a tour de force of emotive filmmaking - from the devastating performances throughout the cast to Hans Zimmer's arresting score, by way of Steve McQueen's visceral visually-led directing style. An adaptation of Solomon Northup's book of the same name, '12 Years A Slave' charts the free man's unjust enslavement and his movement between owners as he battles to retain his identity and dignity amid the harshest mistreatment. Chiwetal Ejiofor portrays Northup, in a career best/defining role, suitably supported by the entire cast. The very occasional bum note does appear but this is one case where you should believe the hype. Both uniquely Indian and yet universally understandable, it comes with some surprise that the Film Federation of India overlooked 'The Lunchbox' as their Best Foreign Language entry for the forthcoming Academy Awards. Irrfan Khan ('Life Of Pi', 'The Amazing Spider-Man') stars as a lonely, soon-to-be-retired widower who becomes connected to disaffected housewife Nimrat Kaur through a wrongly delivered lunchbox service. Writer-director Ritesh Batra captures the vivid nuances of Mumbai yet the focus rarely wavers from the central duo, who find comfort through lunchbox letters. Their written openness transfers to other aspects of their life, particularly in Khan's case - taking Nawazuddin Siddiqui's character under his wing despite earlier reticence. The script's wit and the touching moments (mainly involving Siddiqui) elevate 'The Lunchbox' from typical romantic fare. Swedish indie director Lukas Moodysson has established a reputation (in certain circles) as one of the world's finest filmmakers. He returns after 2009's 'Mammoth' with an adaptation of his wife Coco Moodysson's graphic novel 'Never Goodnight', transporting us to the teen world of early eighties Stockholm. 'We Are The Best! follows three young girls, mocked for being outsiders, who come together to form a punk band. Even though punk's supposedly dead. And only for boys. Speaking of boys, there is sadly a tired love triangle aspect, something that undoubtedly most teenage girls face but a conflict that seems slightly forced in the context of the film. Yet 'We Are The Best!' remains a spirited comedy-drama that will inspire anyone who's ever been in a band or even simply harboured such ambitions.